Nancy Buckley has two research focuses. The first is investigating the role of cannabinoids and cannabinoid receptors on the immune system. Cannabinoids are known to suppress resistance to bacterial, viral and protozoan infections. 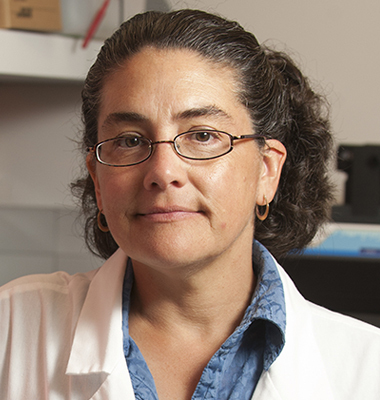 Her lab team is investigating the effect of the psychoactive component of marijuana, Δ-9-tetrahydrocannabinol (THC), on mouse resistance to yeast infections. Recently, they found that THC suppresses mouse resistance to a secondary, but not a primary, systemic Candida albicans infection (Blumstein et al, 2014). 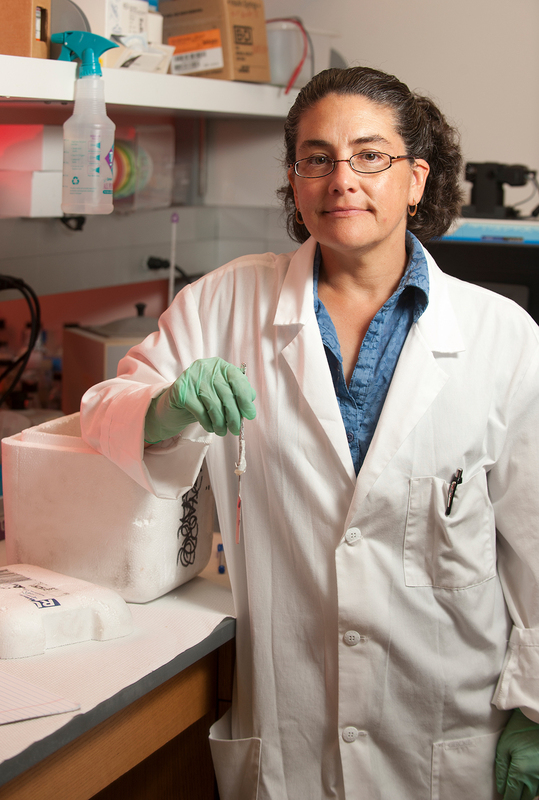 Her second area of research is investigating the role of garlic on immune function. Garlic, an herb consumed for millennia, has been attributed with medicinal effects including immune modulatory activities. Her team recently reported that an aqueous garlic extract enhances lipopolysaccharide (LPS)-induced tumor necrosis factor-alpha (TNF-α) production (Sung et al, 2015). LPS is a highly immunogenic component of the outer membrane of gram negative bacteria. Their objective is to further characterize the effect of garlic on immune cell response to pathogenic agents such as LPS and yeast. With G. Blumstein, A. Parsa, A.K. Park, B.L.P. McDowell, M. Arroyo-Mendoza, M. Girguis, J. P. Adler-Moore and J. Olson, “Effect of Delta-9-Tetrahydrocannabinol on mouse resistance to systemic Candida albicans infection,” PLoS One, 9(7): e103288, Published online July 24th, 2014.